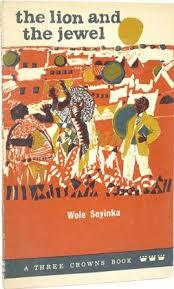 African Nobel Laureate in literature, Wole Soyinka, wrote this book when he was still a very young man, and the work showcased what a literary genius he already was. The ingredients that would make the playwright one of the most acclaimed in the world is present here, as well as the dazzling, rich language that taps into African lores so well. There are themes of mortality in this play, and the cunning of the king; contrasted with the impudence, naivety allied to arrogance of the youth. Soyinka explores these, and others here as (western) modernity is encroaching on a rural setting which however still has massive echoes of the past. This is a brilliant work that one can read again and again.